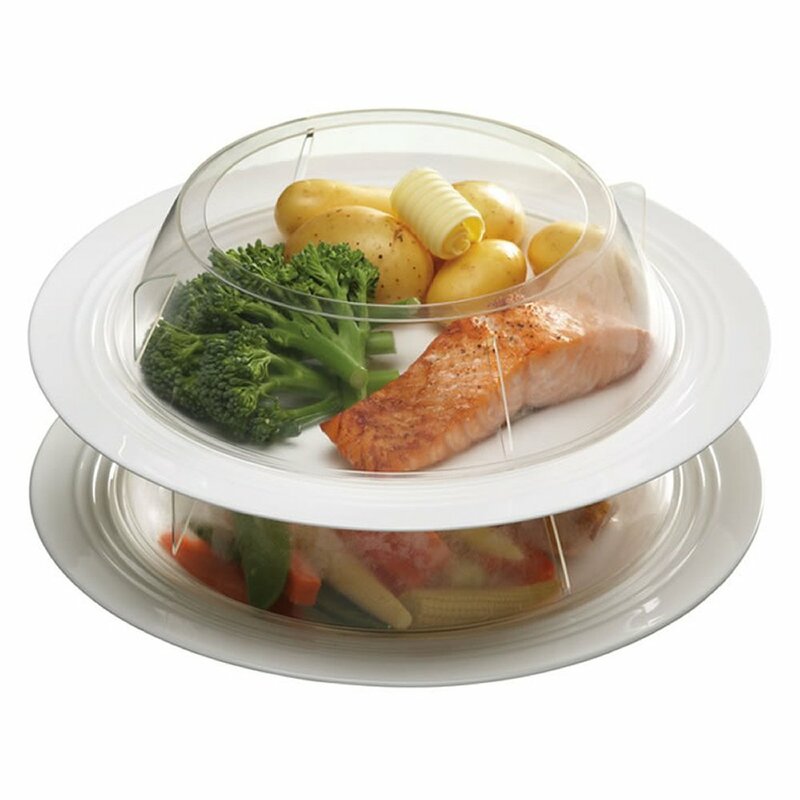 Stain free microwave plate cover. Strong, transparent and stain-free. Easier, less messy and safer to use than cling film. There are small vents in the cover to allow surplus steam to escape. Dishwasher safe and non stick for easy cleaning.